DrinkWire is Liquor.com’s showcase for the best articles, recipes and reviews from the web’s top writers and bloggers. 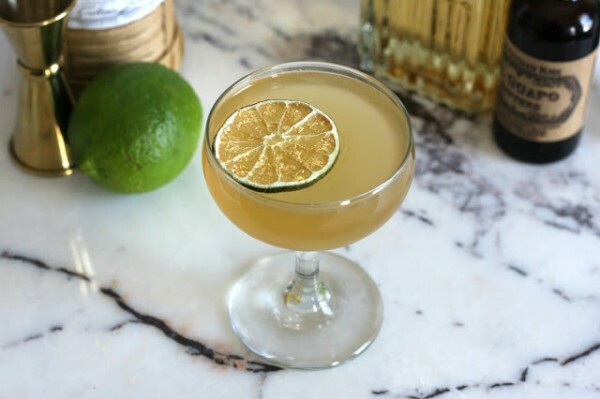 In this post, The Garnish Blog offers a tequila cocktail. I'm pretty obsessed with today's cocktail, primarily because of the garnish. It all started with a bottle of tequila reposado that the fine folks at Gran Centenario sent me. In addition to having a pretty drop-dead gorgeous bottle, this tequila has a very distinct, smoky agave flavor that really comes through in cocktails where other tequilas might get a bit lost. I had a lot of fun experimenting with it. 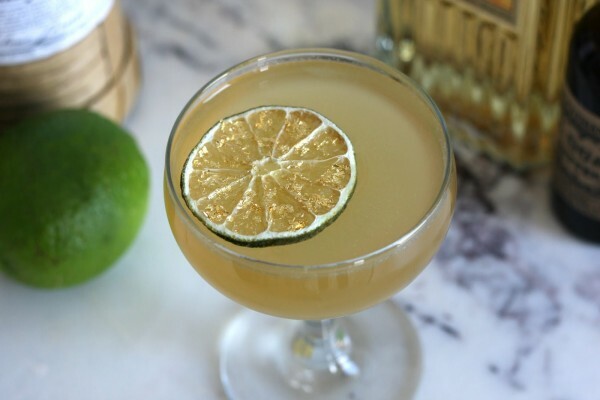 During the course of my attempt to make basically every cocktail from the Death & Co book, I came across the Almond Brother, a really delicious tequila cocktail with amaretto as its second ingredient. I've only used amaretto once before on the blog, but it's a liqueur that I have a real soft spot for. I love the almond flavor, and used sparingly in cocktails, it can be quite a delicious and unexpected addition. It also goes surprisingly well with tequila. I particularly like it in this cocktail with the Gran Centenario, because I think it does a nice job of softening the sharp edges of the agave. Along with some lime, maraschino liqueur, and El Guapo Polynesian Kiss Bitters (you can sub mole or citrus bitters), the Gold Lion has a strong, smoky agave flavor with hints of nuttiness and cherry. I named it for its color (after a song by the Yeah Yeah Yeahs), and could resist using some edible gold leaf I bought on the dried lime garnish.